• Are all components of the park open year-round? 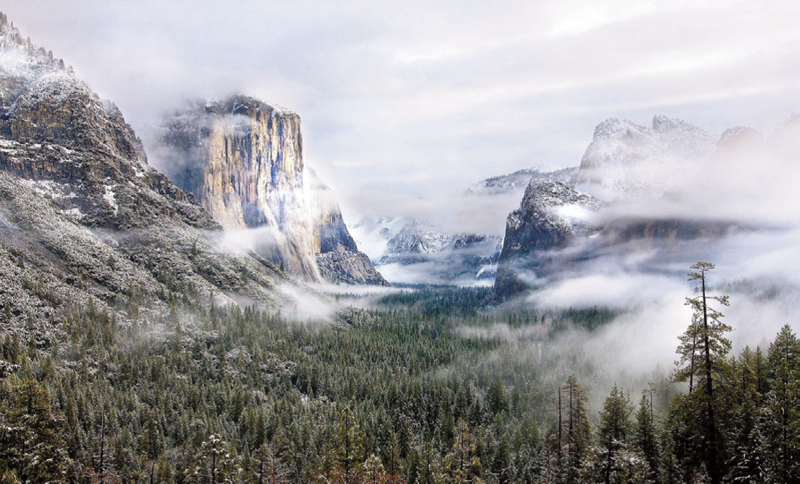 • Is the park accessible by car during the winter? • Is winter the peak season for your park of interest? • What are the average temperatures during the winter? • What are the park hours? Do the hours change seasonally? • What activities and equipment are permitted in the park? • What are popular activities in the park? The view from a national park in winter might be priceless, but viewing it won’t cost you a penny. Through the America the Beautiful pass program, members of the U.S. military and their families can experience the natural beauty of the country they serve at no cost. Active-duty service members, National Guard and reserves are all eligible for the pass. Obtaining a pass is as simple as showing a Common Access Card or military ID at a designated federal recreation site. The pass covers the owner and up to three family members 16 years or older (children under 16 are not charged an entry fee). The pass is valid for one year, so pick one up at a site near you. See the beauty of the country, and make some memories without spending a dime. Once you’ve decided on a national park winter vacation, you face the challenge of narrowing your focus. • Would you like to see a park nearby? • Are you traveling and plan to see parks along the way? • Are you willing to travel for a park experience? Since winter months can bring inclement weather and road closures, your first step in narrowing your destination might be the seasons of operation – a quick scan of the page will let you know if a winter park visit is even an option. As you entertain ideas for your trip, consider both the snow and the sun. Winter is the dry season in the Everglades and, not surprisingly, the busiest season of the year. Escape the winter snow; get up close and personal with alligators, manatees and birds. Try an airboat tour, camp or simply spend the day bird watching. Beaches along the Pacific and Atlantic coasts may get chilly during the winter, but the Padre Island National Seashore is open 24 hours a day, 365 days a year. Camp on the beach, fish the waters of the Gulf of Mexico, bird watch, or simply plant your chair in the sand and read a good book while you listen to the waves roll in. The cooler winter months cause visitors to flock to Big Bend, making this season the busiest of the year. Make reservations in advance for camping and lodging since visitors outnumber campsites and available rooms. Take a hike, take a drive or wait until dark for some of the best stargazing around. If it’s snow you’re looking for, you’ll find it at Yellowstone. Try cross- country skiing or a snowmobile tour. Keep an eye on the weather, and be sure to dress accordingly since winter temperatures in Yellowstone rarely escape freezing. President’s Park draws tourists and locals alike during the holidays. The traditional Christmas tree lights the evening sky and provides a great photo opportunity. Since this is an urban park, you’ll be in close proximity to other national monuments and historical sites around the capital city. If a Missouri winter is too cold for your taste, you can still experience St. Louis from the observation deck of the Gateway Arch. Ride a tram to the top and overlook the city and the Mississippi River. If the weather permits, you can even download a map of walking, running and biking routes around the grounds. It might be a cold visit, but you’ll experience the same Valley Forge winter that Washington’s army marched into on December 19, 1777. Each year there is a commemoration march, and you can find warmer history inside visitor center year-round. Start planning your winter park experience today. Spend an hour or an entire weekend getting to know the far corners of the country.